Do you know you can now get an instant quote using the yellow Get an Instant Quote button at the top right of the page? Please note that we welcome customers at our offices but you will need to speak to us before you visit to make sure that we have the samples you might like to see and an account manager is available. You will need to produce a quote on our online system or call us so you have an account manager assigned to you, who will be able to assist you with your enquiry. 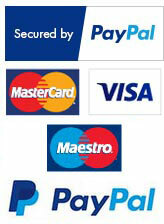 All enquiries of less than 5 items are only dealt with online or over the phone.